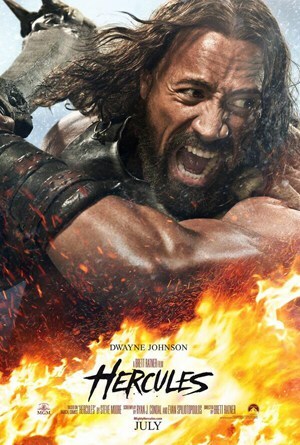 Dwayne “The Rock” Johnson returns to UK cinema screens this week in Hercules, an epic action-adventure film that looks set to rival Pompeii. Based on the graphic novel, Hercules: The Thracian Wars, the film tells the story of Hercules (Dwayne Johnson), a Greek demigod who is said to be the son of Zeus. Haunted by a sin from his past, Hercules travels around ancient Greece with five faithful companions, selling his legendary services for gold. One day, the King of Thrace, Lord Cotys (John Hurt) and his daughter Ergenia (Rebecca Ferguson) seek Hercules’ help to defend their kingdom from a savage and terrifying warlord Rheseus (Tobias Santelmann). They offer Hercules and his band of mercenaries his weight in gold to defeat Rheseu but it’s only after Rheseu’s is defeated that Hercules realises he has been betrayed. In order for justice to prevail, Hercules must embrace his own myth and become the hero he once was to defeat Lord Cotys and his power hungry accomplice King Eurystheus (Joseph Fiennes). 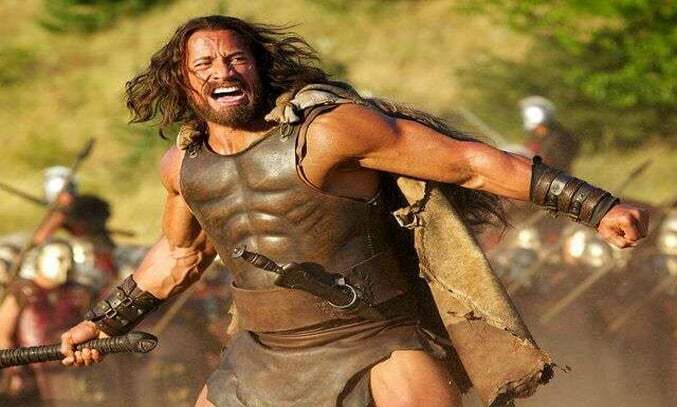 Dwayne Johnson (aka ‘The Rock’) is surprisingly entertaining in the title role of Hercules, a role he was born to play (physically, at least). The former WWF wrester dispatches baddies single handedly with his unrivalled strength and cheeky one-liners. The supporting cast were also excellent, particularly Ian McShane as the prophet Amphiaraus and John Hurt as Lord Cotys. If you’re a fan of epic battle scenes, strange beasts and mythical creatures, then Hercules is the film for you. Whilst the special effects don’t quite match up to Pompeii, the IMAX 3D experience is well worth the extra money, with whips, knives, arrows, spears and even a decapitated five-headed snake at one point, seemingly heading straight for you. The film has received mixed reviews in the press with the Guardian calling it a “swords ‘n’ sandals epic [that] isn’t as bad as you might expect”. Fast, frantic and bloodthirsty, Hercules is exactly what you expect it to be. An epic American action-adventure full of mythical mayhem. Hercules is on general release in UK cinemas from July 25, 2014.